Many of us grew up in kitchens made convenient, and colourful through an assortment of Tupperware storage products. Favorite snacks and cookies were secretly stowed away in these containers which come in a myriad of shapes and sizes, not to mention psychedelic colours, only to be meticulously rationed to us gluttons in moderation. Thanks to Tupperware’s wondrous airtight properties, the goodies remained crunchy and crisp in storage, allowing them to be enjoyed and savoured over long periods of time. Our impressions of Tupperware were affixed at being “storage specialists”, a household name which any decent homemaker would quite readily resonate with. As such, I was pleasantly surprised to learn that Tupperware have branched out of their “comfort zone” and expanded their inventory to include other household items aimed at making the lives of modern folk like us a breeze in the kitchen, just like they had done so over the decades with their storage containers. 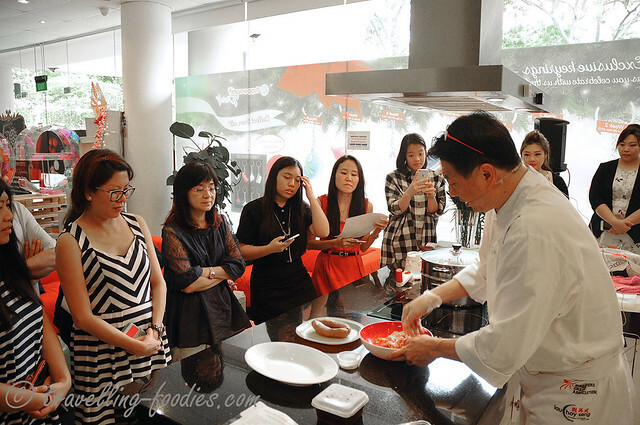 Very recently, I had the pleasure of attending a cooking presentation by local celebrity chef Eric Teo, who demonstrated the use of one of the latest products in the catalogue, the Fusion Master mincer. It is definitely a household item worth looking forward to. 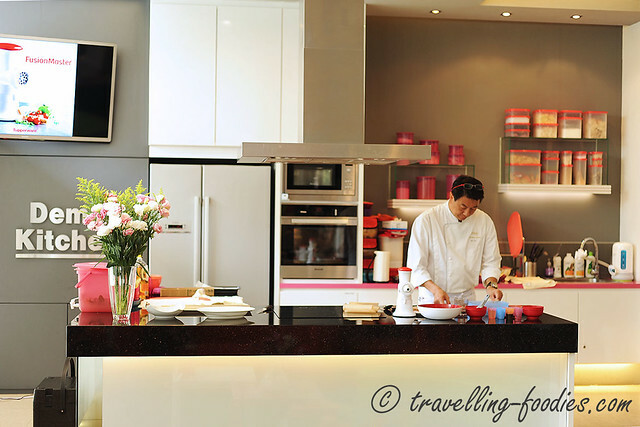 Tupperware’s headquarters at Defu Lane is built with a fully equipped demo kitchen for presentations and product launches. It also doubles as a test kitchen for their in-house product specialist to invent recipes specially for the range of Tupperware products. 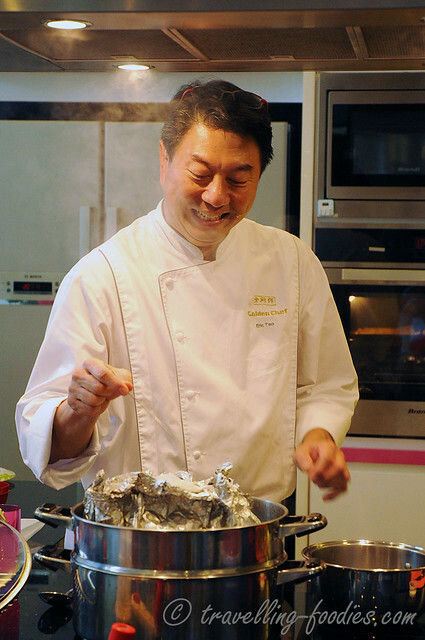 But today, we have Chef Eric Teo in the house to do the demonstration, here seen working out the mise place for the dishes he will be showcasing, before the actual event begins. 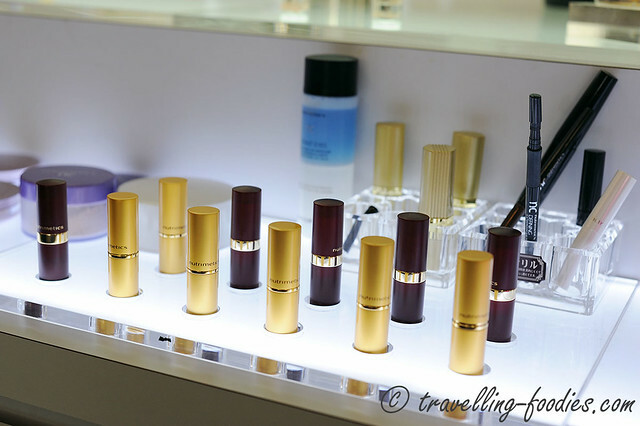 While waiting for the other media friends to stream in, I took time to ‘roam’ around the product display area. Not only has Tupperware explored into other aspects of kitchenware apart from storage containers, they now also carry a range of premium pots and pans but what caught my eye were these, a full range of cosmetic and skin care products under the brand name ‘Nutrimetrics’! And this is what we are here for, the media launch of the Tupperware Fusion Master. 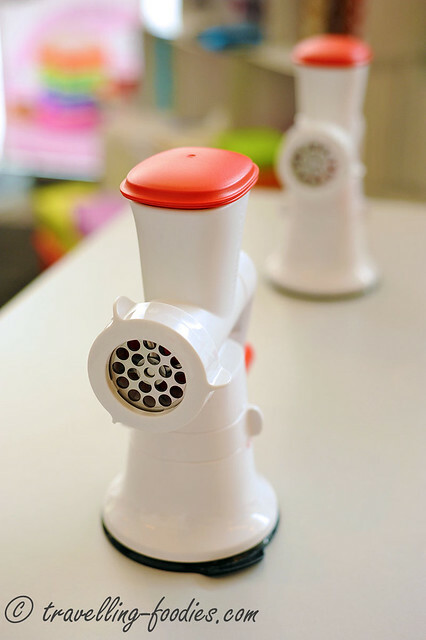 It is essentially a food mincer which is particularly good for churning out freshly ground meat for an array of dishes. Minced or ground meats are one of the most versatile ingredients ever, appearing in a diverse range of cuisines all over the world, from Mexican chilies to Swedish meatballs, from an assortment of Chinese dumplings and dimsum whatnots to hearty American burger patties , from English sausages to German frankfurters, and of course, ngoh hiang meat rolls right here at home, just to name a few. An avalanche of yummy ideas streaming in as I got to know the workings of this “toy” which may prove to be really handy in the kitchen! Chef Eric, after making sure that all of us are comfortably settled, wasted no time to proceed on with the demo. He first showed us how easy it was to dismantle the piece for washing and then how simple it is to assemble everything back together. He echoed the versatility of minced meats used from simple household dishes for daily meals, to those elaborate fare one would see in traditional Chinese restaurants. He explained very clearly the advantages of mincing our very own meats at home to ensure the quality of the cut we are using, so we know exactly what we are eating, vis a vis the pre-packed ones sold in the market where one seldom knows or has a say to the whereabouts. A better view of the minced meat churned out from the Tupperware Fusion Master. Chef Eric has fitted the sausage piping nozzle to the outlet, a contraption for one to produce our own sausages at home! Chicken was used that day but I would think it would work well for other types of meat as well. I am thinking Italian sausages spiked with spices and herbs, and also my favorite Taiwanese sausages, all so aromatic and yummy at the same time! Apart from the sausage piping nozzle, there are also a few other shape contraptions one could fit over the outlet to produce cookies and even churros. So the vastness of possibilities is quite wide with this simple kitchen tool. 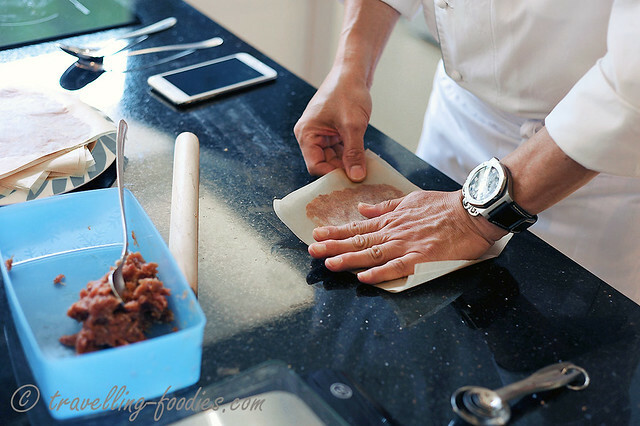 Into the final stages of pressing and shaping each layer of minced meat sandwiched between parchment and then in they go into the oven! The making of bak kwa has all of the sudden gone from the unthinkable to the very possible! 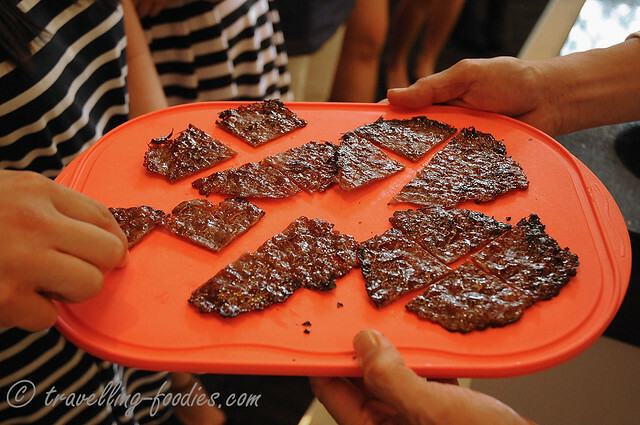 I’m so gonna make my own bak kwa for the next CNY! Up close and personal with Chef Eric as he demonstrated the second dish, a classic steamed Sea Cucumber stuffed with Minced Meat. Again he shared tricks on selecting the sea cucumber and appropriate meat to fat ratios for the dish. Stuffing the whooping 猪婆参 sea cucumber used that day…overzealous I must say, but all done in goodwill to make sure that all the media friends are well fed! And of course no cooking demo is complete without a round of food tasting. Bak Kwa freshly out from the oven. I must say that considering it is made from practically fat-free, skin-free chicken breast meat, they actually look, smell and taste rather similar to those sold by the famed bak kwa joints in town! I am impressed! But if I were to make them, which I most definitely will, there are already a few tweaks I can think of which can make the bak kwa more appealing to my own taste buds. Let me do some experimentation with the Fusion Master kindly sponsored by Tupperware first before running up the recipe on this blog! Fellow media friends having a good time trying out the Tupperware Fusion Master. It is really quite easy to operate and use! This is what the minced meat churned out without the sausage piping nozzle would look like. There are two perforated discs which can be fitted over the outlet, depending on the consistency in the minced meat one is looking for. 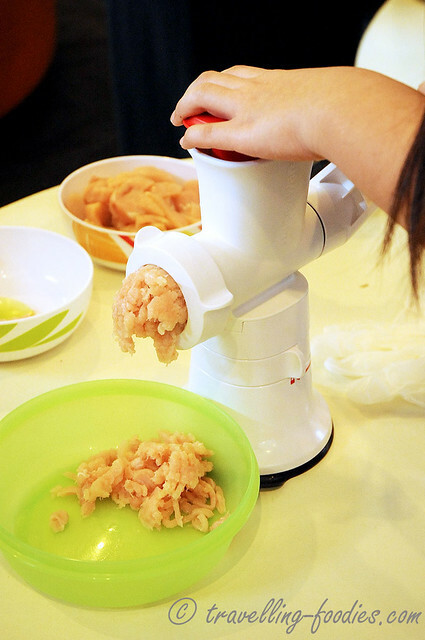 I would think that the minced meat can be poured back into the Fusion Master for a second round of mincing should one need it to be really fine, like in the preparation of baby food. Chef Eric is probably the most jovial and down-to-earth celebrity chef I have met to date. At the same time, he is ever so willing to share his knowledge with us on cooking, tips which only our mothers would have imparted to us, and some which our mothers probably wouldn’t have even known of! 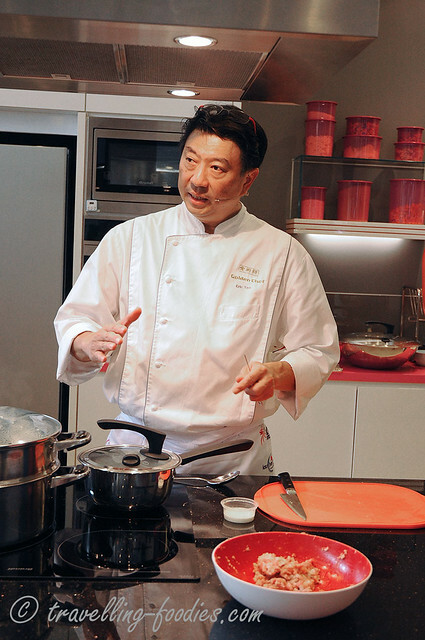 Apart from those designated dishes for that day’s demo, Chef Eric also shared two other popular Chinese dishes which can be prepared with the help of Tupperware’s Fusion Master, totally “off the menu”! Towards the end of the demo, he also took the opportunity to show us Tupperware’s range of pots, which was also launched by him some months back. I’m very curious about just how different these pots are compared to those which are already in the market. Hopefully there will be an opportunity to try them out someday! One important topic which was perpetuated throughout the demo was the ills of processed meat products out in the market, which may be laden with preservatives, chemical enhancers, emulsifiers and other unthinkables, which incidentally led the WHO to issue a warning against their consumption very recently. 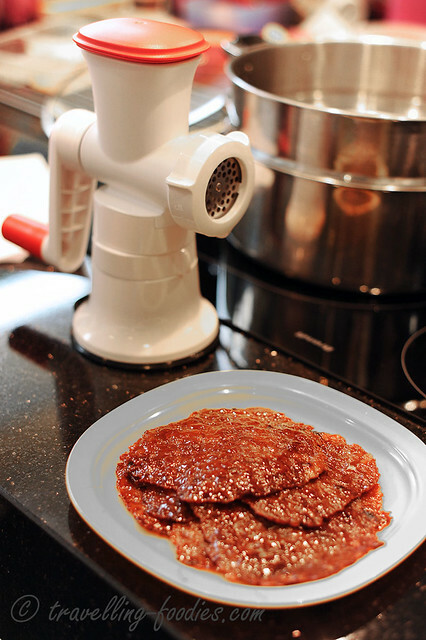 With the new Tupperware Fusion Master, one can churn out minced meats almost effortlessly within the comforts of one’s kitchen, to prepare dishes and treats, like bak kwa which were previously deemed impossible. Not only that, one has full control over the cuts and fat ratio of the meats used, depending on one’s desire to be indulgent, or decidedly more health conscious. More importantly, by being about the prepare all these at home, one has the ultimate say to the type and amount of seasoning and condiments added, being able to tailor the dishes to the liking of the palates of our loved ones, as well as to customise the dishes down to the specifications of one’s dietary needs, and of course to make it absolutely safe for the enjoyment of our friends and family. I must say that I am quite convinced that the Tupperware Fusion Master would most certainly be a good-to-have in one’s kitchen. It has a reasonably small footprint and works well on any decently smooth kitchen top. The Tupperware Fusion Master will be available from Tupperware head office at Defu Lane and also the respective agents from January 2016. Meanwhile, watch this space for other recipes which will be created using this wonderful kitchen tool. 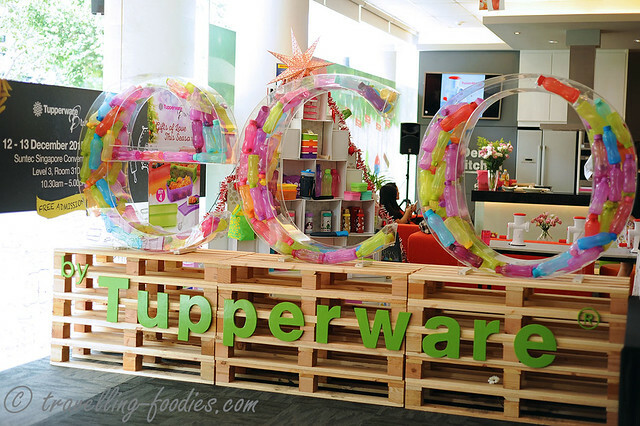 A big Thank You to Tupperware Singapore for the invite, and generous sponsorship of the Tupperware Fusion Master. 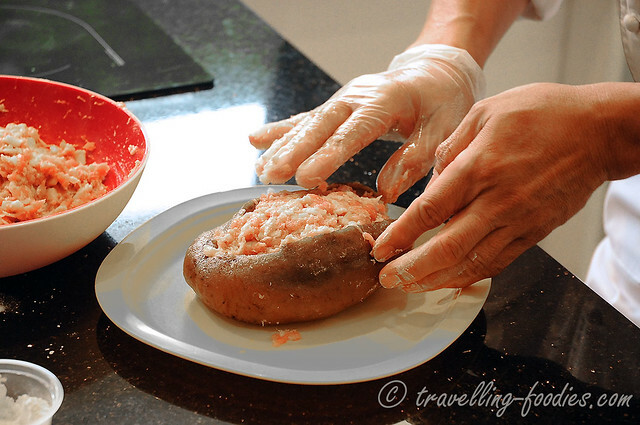 This entry was posted on December 2, 2015 by Alan (travellingfoodies). It was filed under Food and was tagged with bak kwa, chef eric teo, fusion master, meat mincer, media event, sea cucumber, Singapore, tupperware. Hi Alan, all these look so good 👍🏻 can you please share recipes ? Thank you! thanks Ai Hua, I will be sharing the recipes soon. I am a lock and lock fan but a few bad experiences with the product is making me thinking hard to switch to Tupperware. Eagerly awaiting for your updated recipe. Hopefully before CNY to try it. 🙂 Brilliant write up. Hi Alan, my little 7-month old grandson from Perth coming to visit next week. He’s started on semi-solids a month ago and I would love to use the Fusion Master to create new food for him to try. 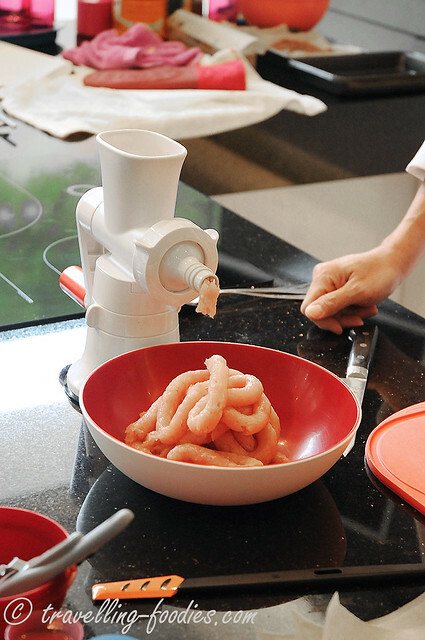 Is the mincer available for sale yet?